Welcome Ultra-fans to the Super-Blog Team-Up! Today the Ultraverse Network is part of a crossover banding together several different blogs under the banner of Parallel Worlds and Alternate Realities! Each blog in this crossover will focus on alternate versions of their favorite characters and niches. Here at the ULTRAVERSE NETWORK, we’ll explore how the Black September crossover altered the continuity of the Ultraverse. When Malibu Comics was purchased by Marvel, the entire Ultraverse line was cancelled and restarted. Only a few of the more popular series were rebooted and relaunched, with some being radically altered. The history and continuity of the Ultraverse was retroactively changed in numerous ways, and a number of characters simply ceased to exist (or in the new continuity, ceased to have ever existed). The story covering this reality-altering event was labeled “Countdown to Black September”, which ran through Ultraforce vol I #8-10, Ultraforce/Avengers Prelude, Avengers/Ultraforce, & Ultraforce/Avengers. Each of the rebooted and relaunched Ultraverse books started with a special “∞”-numbered issue identified as part of Black September. Confession time, I’m not an expert on the post-Black September Ultraverse. I was a big Ultraverse reader when Malibu launched the line, but after the Marvel buy-out I drifted away. For this post, most of what I’m sharing has come from research or information shared by other Ultra-fans. In the coming weeks and months I will update this post if we uncover any further continuity changes. Additionally, I strongly encourage you readers to contribute any missed continuity changes in the comments. In this post we won’t be recapping the Black September event itself (read it or Google it if you are curious). Instead we’ll be focusing on the retroactive continuity changes (retcons) that resulted from Black September; not to be confused with story-driven character changes. For example, while the changes to Mantra after Black September were dramatic, they were progressions of the story, not retcons. 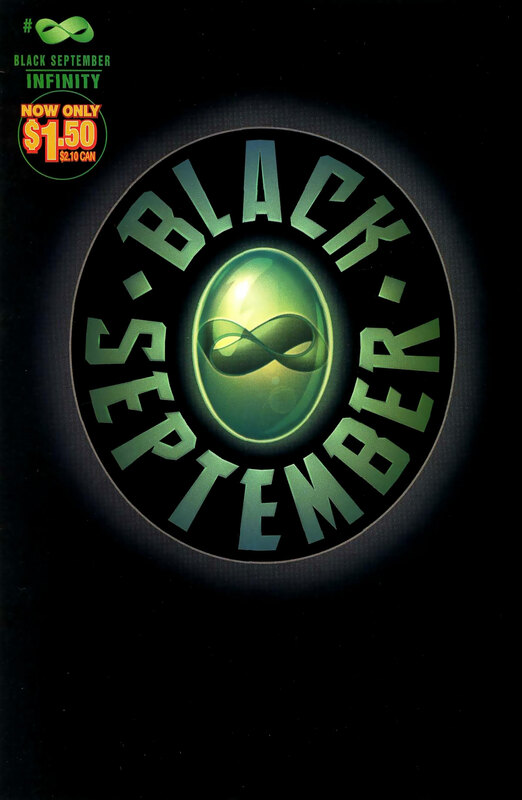 In the post-Black September continuity, Lukasz still inhabited the body of Eden Blake, and then the Mantra power was transferred to Lauren Sherwood. Therefore no retcon occurred. Night Man was another character who experienced dramatic changes from progression of his story as opposed to retcons. Prototype – One of the biggest retcons was the elimination of Jimmy Ruiz from the history of Prototype. When Malibu first launched the Ultraverse, Jimmy Ruiz was a teenager working for UltraTech piloting the new Prototype armor. Ruiz replaced the former pilot of the Prototype armor, Bob Campbell. Campbell was forcibly retired after losing his arm on the job. While Ruiz struggled in his role as Prototype, he proved himself on many occasions and was a valued member of the Ultraforce. In the post-Black September continuity, Ruiz was written out of continuity and Bob Campbell was retconned as the only Prototype to have ever existed. Campbell was a member of the Ultraforce and had never suffered the loss of his arm. As far as we know, Campbell was retconned to replace Ruiz in all of his adventures. Hardcase – Hardcase (alter ego Tom Hawke) was one of the premier Ultraverse heroes when Malibu launched the line. In the post-Black September continuity, Tom Hawke existed but never became Hardcase. Since he never became Hardcase, it seems likely that his team called “The Squad” also never existed. Here is where it gets a little confusing. A little more than a year after the Black September reboot, Hardcase made an appearance (even though he’d been retconned out of existence). Hardcase returned wearing his original uniform and informed the Ultraforce that he knew about the alterations to the history of the universe. When Black September occurred, he was apparently shunted into a limbo dimension. According to Mark Bourne, a former editor of the Ultraverse titles, Hardcase’s appearance occurred because the creative team wanted to return the stories to the original Ultraverse continuity. Marvel Comics filed for bankruptcy before that story could unfold and the Ultraverse line was canceled. The final Ultraverse story, Future Shock, addressed some of these altered reality plot threads. Choice – Choice was a supporting character in the Hardcase title. Her origin was deeply-rooted in the history of “The Squad”. She never appeared in the post-Black September Ultraverse, and we can assume she was written out of continuity due to her ties to “The Squad”. Contrary – Contrary was a mysterious character, tied into the origin of the Freex (or most likely tied into), and founder of the Ultraforce. She organized the Ultraforce team and provided their technology. She was also known for manipulating people to further her own agenda. In the post-Black September continuity, she was written out of continuity and ceased to have ever existed. Personally, I think Marvel got rid of her because they thought she was robbing Emma Frost’s M.O. and wardrobe. Rune – Rune’s origin was altered slightly in the post-Black September continuity. In the original Ultraverse, Rune began as a barbarian on an alien world who ate the flesh of a dragon to gain it’s strength. In the post-Black September continuity, Rune began in Africa and consuming the dragon was removed from his history. Solitaire – Solitaire escaped Black September relatively unscathed. The only real post-Black September alteration is the mystery of what inspired Solitaire to begin his quest in becoming a hero. In the original Ultraverse continuity, he was inspired after he witnessed a battle between Hardcase and Headknocker which most likely didn’t happen in the post-Black September continuity. 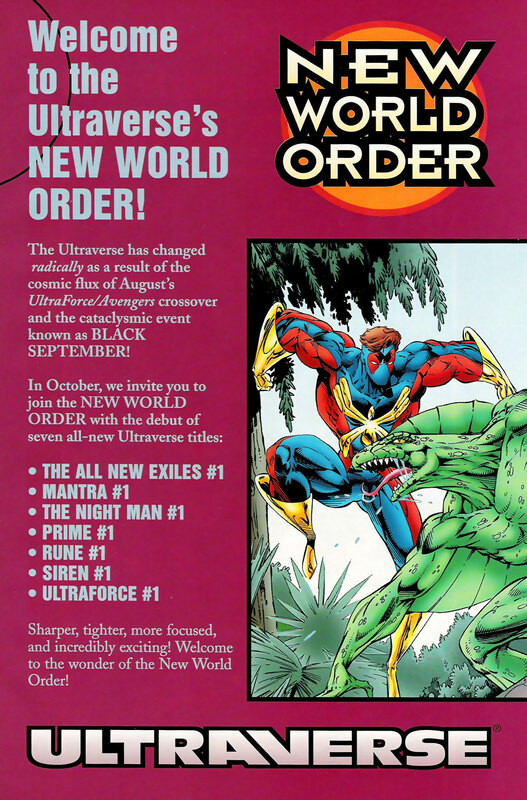 Ultraverse history – Another minor retcon in the post-Black September continuity was that Marvel’s Infinity Gems were woven into the origins of the Ultraverse itself. In the post-Black September continuity, the entity on the Moon who triggered the Jumpstart effects was apparently awoken by the disruption of the space/time continuum caused by the Infinity Gems. Freex – It’s not specified if these characters existed in the post-Black September continuity. Since Contrary was erased from existence (it was strongly hinted Contrary was involved with the creation of the Freex), it’s possible the Freex were as well. Freex member Cayman did appear in the post-Black September continuity in Ultraforce and the All-New Exiles, but he never made any mention of the Freex. The Strangers – I’m a little blurry on this one. While The Strangers did not appear as a team in the post-Black September continuity, member Zip-Zap is reported to have appeared in a later Prime issue. Unfortunately, I’m not able to verify that appearance. Does anyone else know of it? While the post-Black September Ultraverse was a very different place for our favorite heroes, all other changes were story-driven rather than retcons. Again, I’ll happily update this post if any further continuity changes are identified. My thanks to the following Ultra-fans for their assistance with research on this post: Mark Bourne, Derek Crabbe, Ryan Carpenter, Neil Robertson, Bruce Reville and Sean Koury! Thanks guys, stay Ultra! As mentioned, several different blogs have teamed-up today to cover Parallel Worlds and Alternate Realities! While we’re featuring the Ultraverse here, you should visit these other comic blogs to see how they spotlight their own favorite characters and niches today. Visit them now, visit them later, and visit them often! Our thanks to the Super-Blog Team-Up for inviting us to participate in this fantastic crossover! Welcome to the SBTU! Great entry! I was a huge Ultraverse fan and you guys do the best job on the web covering it! Loved titles like RUNE, The Exiles! Wish Marvel didnt flush the box on these great properties! 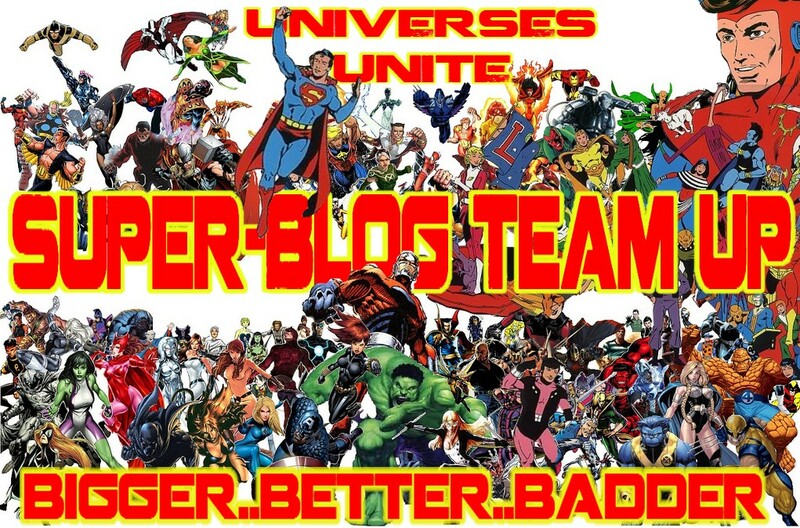 Welcome to the Super-Blog Team-Up crew! I, too, had checked out of the Ultraverse well before Black September. Comics are rarely well-served by these continuity-focused events, and this one seems oddly-timed, as the Ultraverse was still so young at the time. Were the ripples sent up by colliding with Marvel (both in the fiction, and reality) so severe that a reboot was necessary? Dunno. Now, here’s a real alternate universe for you … I recall an Ultraverse editor telling me that had the DC deal gone through in place of Marvel, that the plan was to move Green Lantern over to the Ultraverse, permanently! (Or at least as permanently as anything is in comics). Not sure who told me that — probably Tom Mason — ask him the next time you talk! I am, with Paul from LBG, in that there was just no reason to shake things up. If anything, what Ultraverse needed at that time was to be left alone and be allowed to continue to stay the course that had been established early on and to get away from the Marvel Universe for a good bit. The crossovers were so ubiquitous that there was no special feeling about them, and incorporating MU characters into the Ultraverse also made the Ultraverse seem less special. Great article that works as a really good primer for the post Black September titles!